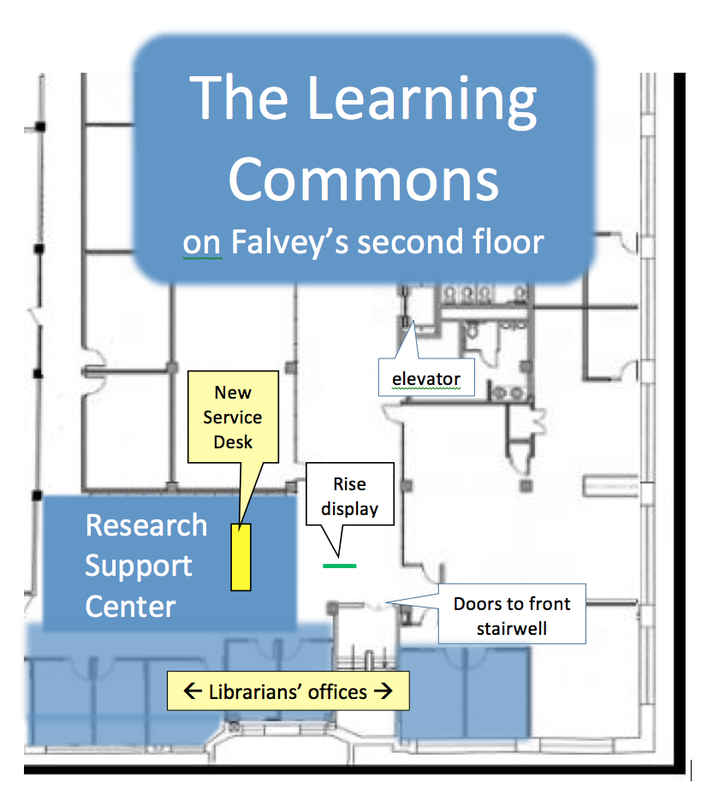 A new service point is coming to The Learning Commons on Falvey Memorial Library’s second floor. Falvey’s Research Support Center, comprised of 12 dedicated librarians whose offices are on the library’s second floor, will soon have a new service desk. 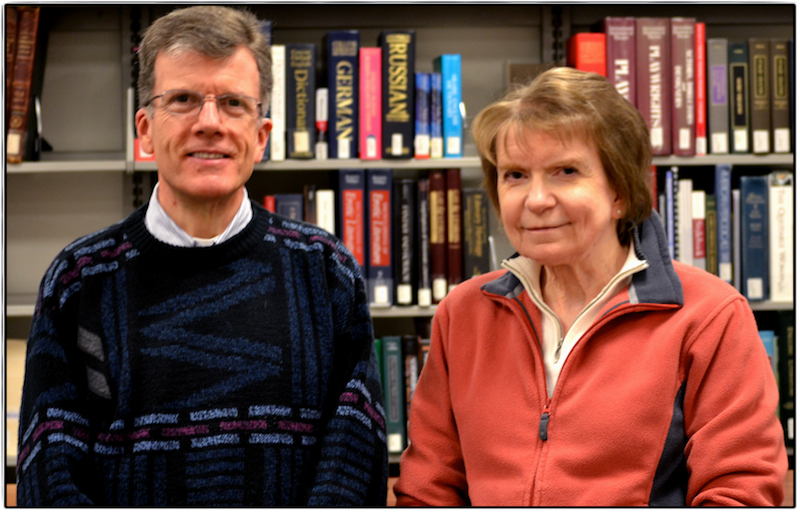 Information Services Specialists Donna Chadderton and Gerald Dierkes will be the primary team members staffing the desk and connecting students, faculty and staff with resources necessary to achieve their learning and research goals. Photograph by Alice Bampton; graphic by Gerald Dierkes.